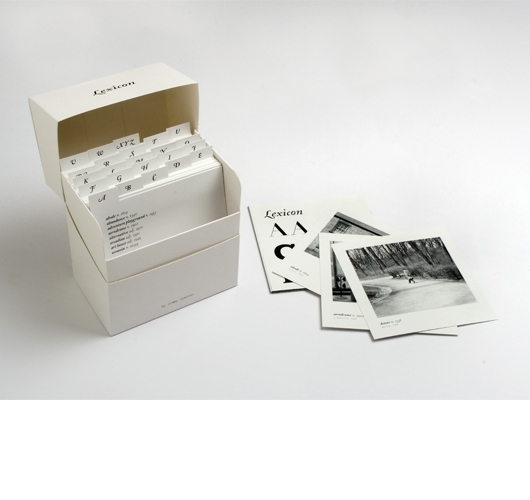 Set of 144 photographs in a box. A photographic journey through a dictionary published by the British Council in 2005 for a worldwide touring exhibition. 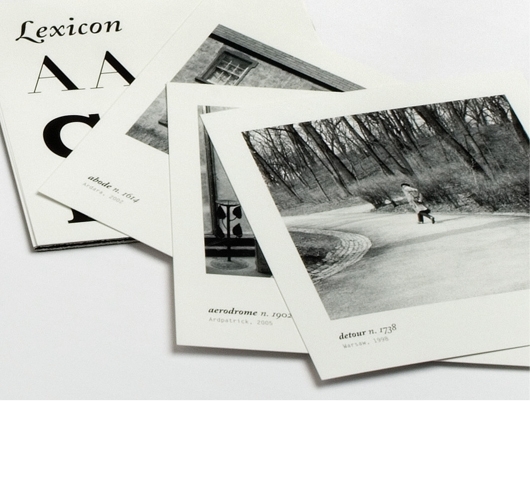 Lexicon is designed so that the number of photographs for each letter reflects the actual lexicographical frequency in the English language. Accompanied by the booklet 'Compendium' in which the artist has written a series of creative writing games that work in conjunction with this art work. 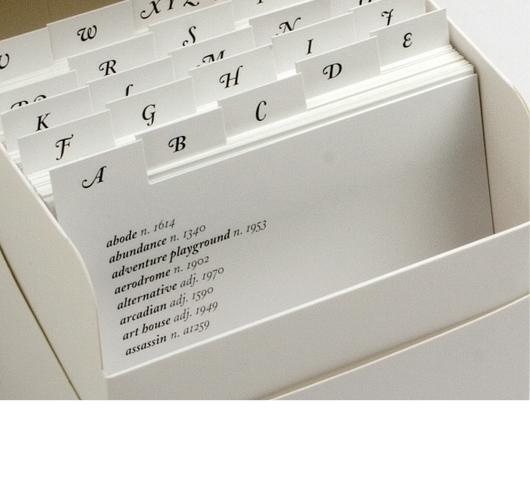 Lexicon also includes index cards, poster and accompanying essay by John Simpson (Editor, OED). Box design by Park Studio. ISBN 0 86355 558 6.